William “David” Prior, age 69, of 122 Glen Oak Drive, Danville, Va., died on Friday, March 29, 2019, at Kindred Hospital. Mr. Prior was born on May 9, 1949, in Danville, Va., a son of the late, Willie Lee Prior and Lois Carnell Pugh Prior. He was married to Kathy Sims Prior who preceded him on March 24, 2017. Prior to his retirement, Mr. Prior worked in the weave room at Dan River Mills for 31 years. Mr. 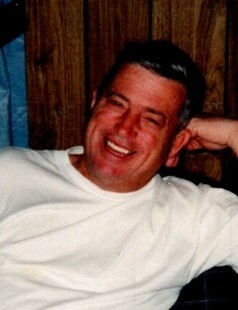 Prior is survived by his children, Angela Renee Hoover and husband, John Murphy, of Ringgold, Va., Amy Haley and husband Doug, of Eden, N.C., and Timothy Prior, of Danville, Va.; grandchildren, Meagan, Jonathan Jr., Raiden, Amber, Samaya, Cameron, and Sydney; brother, Terry Prior (Jane); sister, Trudy Prior; and feline companion, Pippy. Funeral services will be conducted at 2 p.m. on Monday, April 1, 2019, at Swicegood Funeral Home with the Rev. Billy Hedrick officiating. Visitation will be held on Sunday, March 31, 2019, from 6 until 7:30 p.m. at the funeral home. Interment will follow in Highland Burial Park. Swicegood Funeral Service is respectfully serving the Prior family.